Salinas, Calif.-based Church Brothers Farms has launched a redesigned website. www.churchbrothers.com . A video on the home page provides a quick introduction to the company, and the website can be viewed in English, Spanish or French. The site has more than 100 product pages that allow visitors to see details about all items the company offers, according to a news release. “We strengthened our (search engine optimization) and navigation design to make it easier for the search engines and site visitors to find relevant content,” Kori Tuggle, vice president of marketing, said in the release. 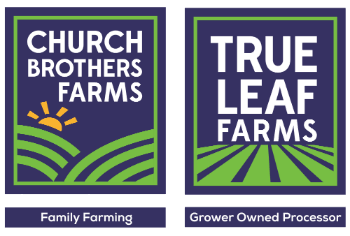 Along with making the website more user-friendly, the redesign gives Church Brothers Farms a better feel for its interested parties. “We have real-time knowledge of site traffic, device usage and traffic referrals that will guide us on future content and help visitor retainment,” Tuggle said in the release. Those insights will inform the company as it continues to add to the website. “Our website will be in a state of continuous improvement, adding and updating both content and format to help us tell our story even better and remain relevant to our audience,” Tuggle said in the release.